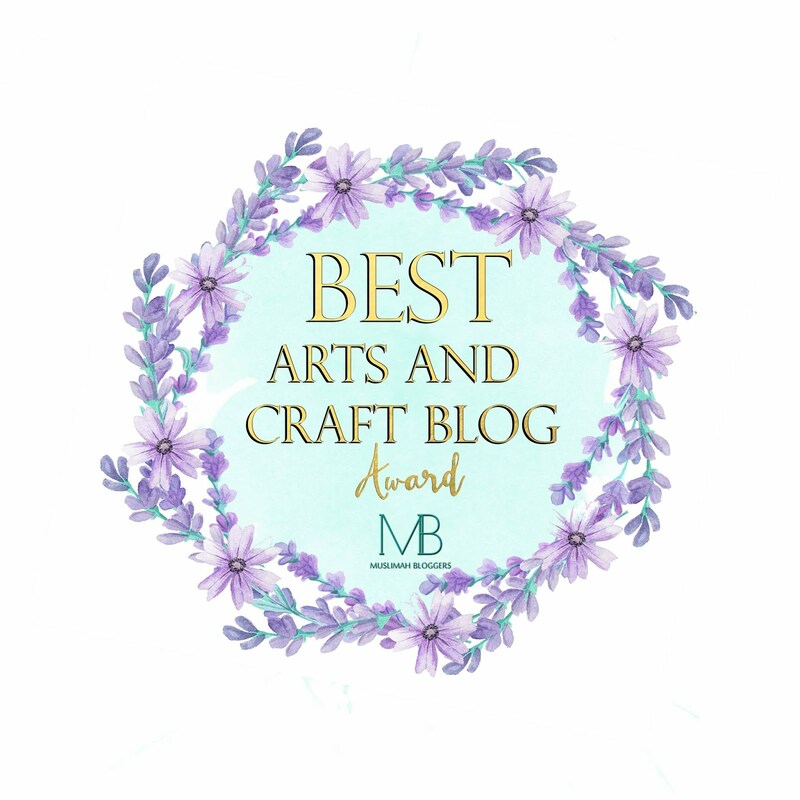 If you follow my daughter's blog http://www.slhcrafts.com/ then you will know she now has her own Craft Studio so we are in the middle of getting it all ready and furnished. 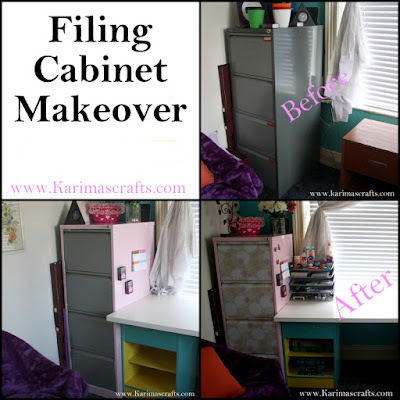 One of the projects that I have done is transform an old dull filing cabinet into a bright arty design. This was actually quite straight forward but gave a beautiful transformation. Step 2: Paint the parts that you wish to paint, I did everything except the drawers. Allow to dry. Step 3: Measure the size of the drawers and cut the roll as required. Place over the drawer carefully smoothing out gradually to avoid air bubbles. 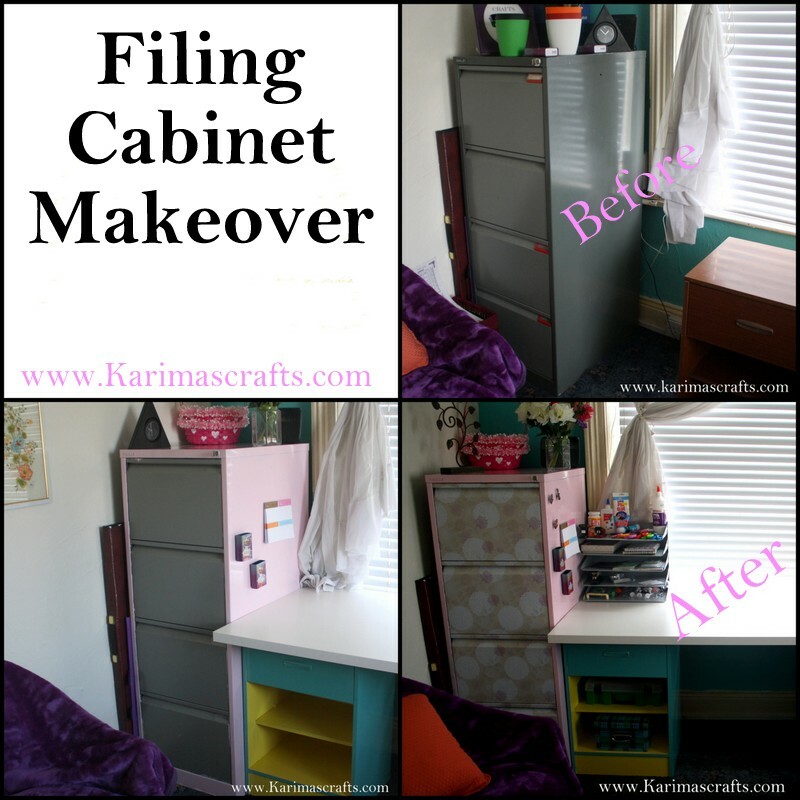 You now have a transformed filing cabinet. So simple yet such a transformation, masha Allah! I lOVE it. It's SO much better than the dull grey.